This swing provides extra support for the inbetweeners: little ones who have outgrown infant swings but are not quite ready for the regular belt sling. The design of this swing wraps around the child in front and back, providing the necessary support and safety for your child. But, it gives more leeway than infant swings, giving your child the ability to kick and swing. 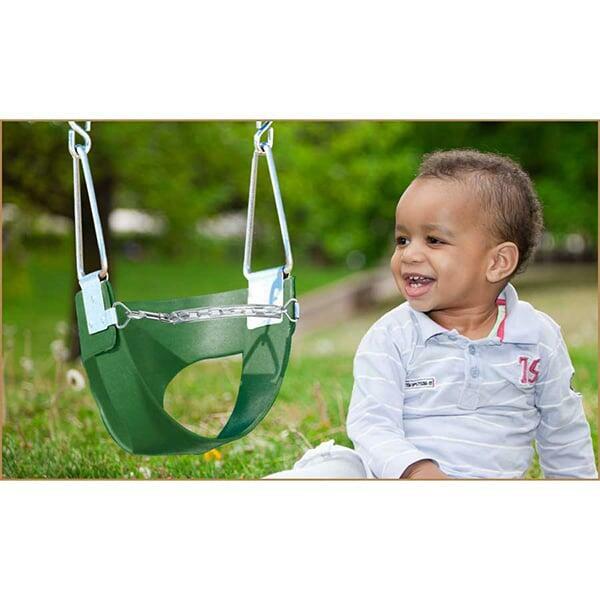 Watch your little one develop the swinging and pumping motions that he or she will use for life!